Maxine has been invited over the years to sit on various consultative groups at CLG on many of the new legislations that were introduced through the HA2004, including consultative groups with HHSRS, HMO licensing and tenancy deposits. Along with a vast amount of experience at playing an active role on various boards ranging from Orbit Housing Association, The National Federation of Landlords (Vice Chairman) and Southern Private Landlords Association, Maxine is currently a member of the ARMA board and a personally invited member of RICS Residential Property Management Working Group. Maxine played an active part with the CMA report where it reviewed Property Management and was invited to one of the consultative groups as well as being a member of the ARMA consultative forum. In previous roles, she was the vice chairman for the National Federation of Residential Landlords who had a membership of 10,000 plus landlords, branch chairman of her own local association of Southern Private Landlords where she started a local branch from 0 and built it up to over 400 members. Maxine is a qualified counsellor and although not practicing, has a very good listening skill. 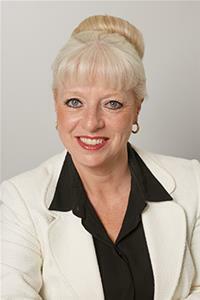 She is used to dealing with people at all levels as an elected Ward Councillor within the London Borough of Bexley. As well as being a trainer, she has for the past 11 years, sat on the London Landlord Accreditation steering group which initially was a pilot scheme and has since gone on to become the most recognised landlord accreditation scheme which this has been adopted by the Mayors London Rental Standards. Maxine has been invited via her professional bodies to represent landlords and managing agents on many occasions to government consultation groups, the latest being the RICS Residential Group, as well as presentations to large groups.